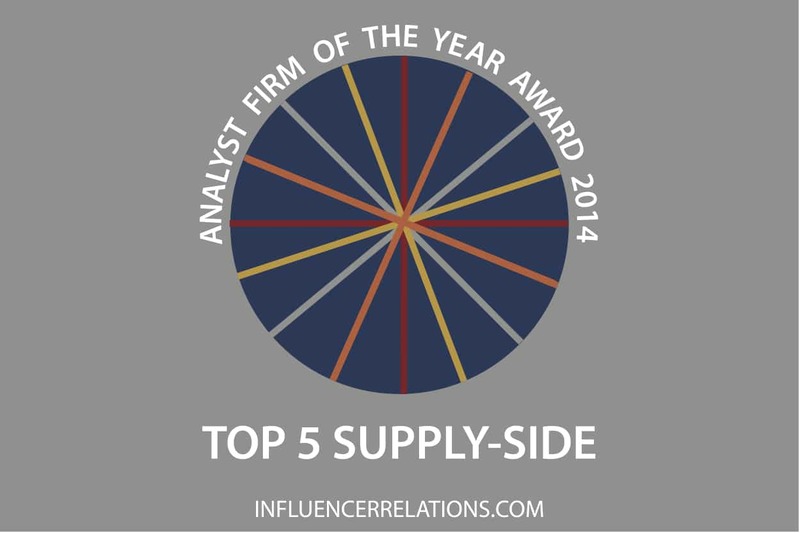 Influencer Relations’ Analyst Firm awards for 2014 (AFOTY14) show a major market divide: In contrast to demand-side users of analyst services, people in supply like firms like technology vendors, service providers and equipment manufacturers are tightly focussed using analysts to drive sales. Suppliers see analyst value very differently and, in particular, they see Gartner’s influence as being much stronger than people on the demand-side do. Suppliers responding to our Analyst Value Survey were equally split between Europe and North America, with another fifth in the rest of the world. They were focussed on topics like strategy, analytics, outsourcing, big data, IT services and software – and the top ten firms listed below reflect that. Gartner was the leader on more or less every variable in our survey, with an exceptional leadership position in influencing investors. Forrester’s strong position as the number two is most categories seems to be especially strong with suppliers. They appreciate its great support for strategy days. HfS Research is getting mentioned widely by customers, clients and prospects, and seems to be influential on them according to suppliers: pushing it up into third place. IDC performs strongly in many categories, and suppliers say it almost pips Forrester for second place in terms of perceived influence on investors and journalists. It’s also doing well with getting suppliers to subscribe. NelsonHall rounds out the top five on many criteria, but is especially strong on independence. ISG clearly has a leading role in the services market, especially in North America, but also with a very notable profile in Asia. Everest Group is also seen as being mentioned widely by clients, and influential on them. Like ISG, it has great traction with vendors in Asia, but with more of a focus on outsourcing. Digital Clarity Group is clearly a trusted advisor North American software firms grappling with e-commerce and digital strategy questions. It seems to be getting traction with journalists. There’s not much that can be said about Greyhound that it has not already said. They are becoming go-to people for vendors in Asia looking to understand cloud software and services. 451 Group is better known for North American cloud and software expertise than for the global telecoms insight that came with Yankee Group. It’s also valued by firms looking for big data, IT services and strategy guidance. 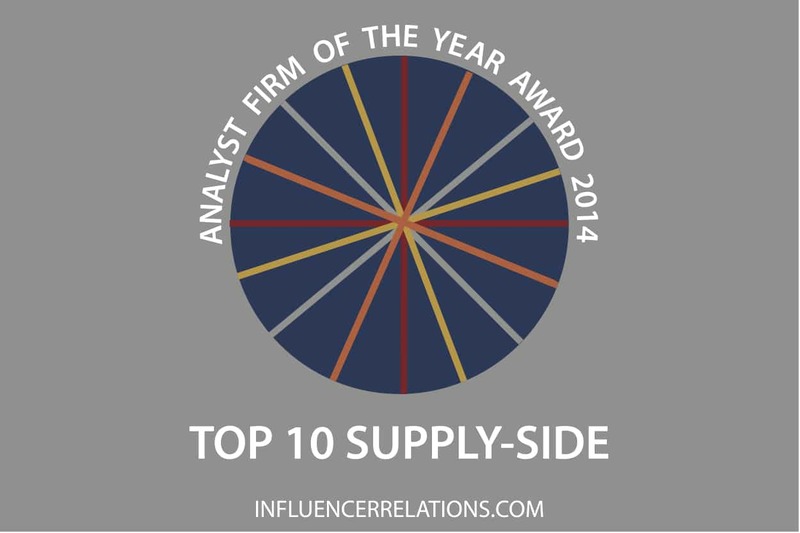 Of course these top ten firms are not the only ones: next year we’ll be keeping an eye out for TechMarketView, Alsbridge, Novarica, Hackett and Verdantix, which seems to be getting larger on the supply-side’s radar.